The last year has been an amazing time for building momentum for the emergence of the Social Web. We’ve seen the “open” and “data portability” memes move from the periphery to the core, picked up by Plaxo, Google, Yahoo!, Microsoft, and Facebook, among many others. We’ve seen major advances in the embrace of open standards, including OpenID, OAuth, and microformats. And we’re also beginning to see a swell of public awareness and the stirrings of demand for users to have ownership and control of their data, and the freedom to take it with them, wherever they go. 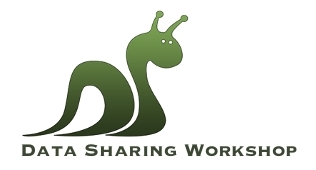 Here’s a link for registration for Data Sharing Workshop and Data Sharing Summit. Great things have happened at previous versions of these influential grass-roots events. 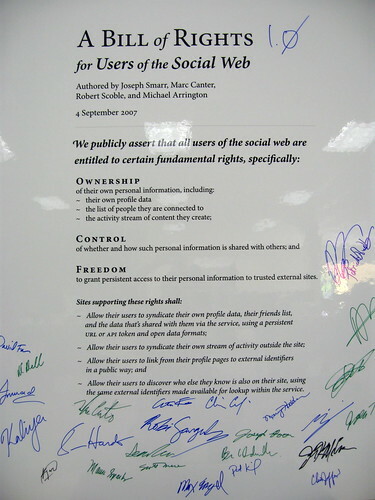 Joseph Smarr, Marc Canter, Robert Scoble, and Michael Arrington co-authored the Bill of Rights for Users of the Social Web for debut at the Data Sharing Summit, where the document generated vibrant discussion, conceptual buy-in from some of the biggest companies on the Internet, and a ton of signatures from the people who are working on the building blocks of data portability and the Social Web. And to be clear, these are not stiff, formal, traditional conferences. They are all highly collaborative events, with no one setting the agenda except the interesting people who show up. 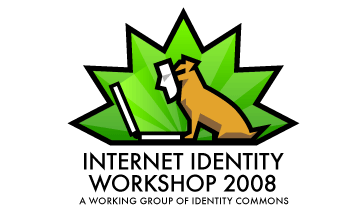 I advise you to become a part of them if you are passionate about bringing about the open Social Web!